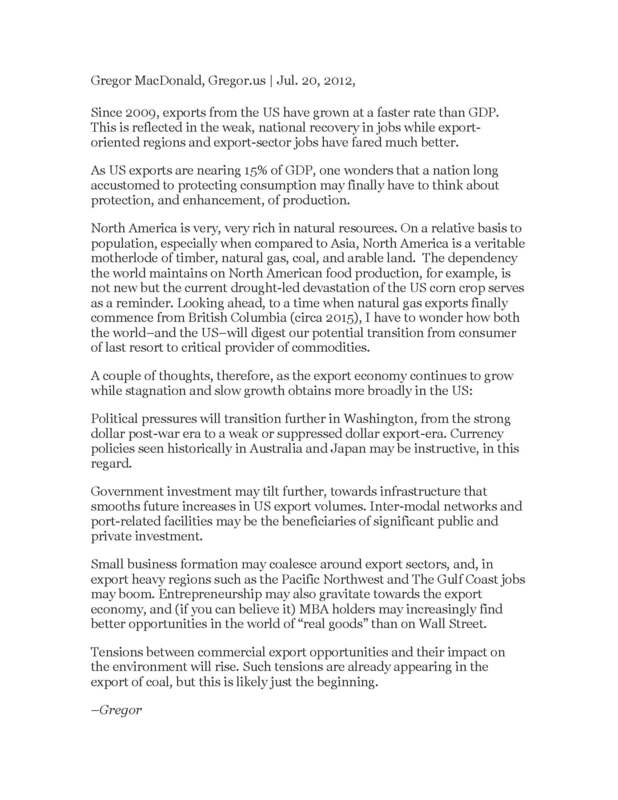 Above article is an opinion piece by Gregor McDonald, a researcher and an international energy investor. We would like to hear your point of view and will publish select commentary in our upcoming issues. Washington, D.C. – U.S. Trade Representative Ron Kirk announced today that China has ended certain wind power equipment subsidies. The United States had challenged the Special Fund for Wind Power Equipment Manufacturing (Special Fund) subsidies at the World Trade Organization (WTO) following an investigation initiated in response to a petition filed by the United Steelworkers (USW). The subsidies took the form of grants to Chinese wind turbine manufacturers that agreed to use key parts and components made in China rather than purchasing imports. The United States estimated that the grants provided to Chinese companies since 2008 could have totaled several hundred million dollars. The size of the individual grants ranged between $6.7 million and $22.5 million. “The United States is pleased that China has shut down this subsidy program. Subsidies requiring the use of local content are particularly harmful and are expressly prohibited under WTO rules. This outcome helps ensure fairness for American clean technology innovators and workers. We challenged these subsidies so that American manufacturers can produce wind turbine components here in the United States and sell them in China. That supports well-paying jobs here at home,” said Ambassador Kirk. This is the third successful WTO challenge that the United States has brought against Chinese government subsidies. In each of these cases, following formal consultations at the WTO, China agreed to eliminate the subsidies that the United States had challenged. “This lack of transparency hinders the efforts of WTO Members to collectively ensure that each government is playing by the rules. The United States would prefer not to resort to WTO challenges but we will do so to hold China accountable and to enforce the rules on illegal subsidies. Even as we announce our success in this dispute, it is past time for China to be transparent about its subsidy programs, and that includes meeting its notification obligations like other WTO Members. China is the second largest trader at the WTO, and it is simply not acceptable that China continues to evade its transparency commitments,” Ambassador Kirk said. The United States’ WTO dispute challenging the Special Fund subsidies was initiated as a result of an investigation launched by USTR in response to a petition the United Steelworkers (USW) filed under section 301 of the Trade Act of 1974, as amended. The investigation was initiated on October 15, 2010. It probed allegations relating to a variety of Chinese policies and practices affecting trade and investment in the clean energy technology sector, including subsides. The United States held WTO consultations with China on February 16, 2011. In those consultations, the United States made clear its view that the subsidies provided to Chinese wind turbine manufacturers under the Special Fund program were prohibited because they were conditioned on the use of domestic over imported goods. (See Article 3 of the WTO SCM Agreement). Following those consultations, China took action formally revoking the legal measure that had created the Special Fund program. The United States has succeeded in ending similarly problematic subsidies in two other WTO disputes against China. In 2007, the United States and Mexico challenged several tax-related subsidies that benefited a wide cross-section of China’s manufactured goods, claiming that those subsidies illegally supported Chinese-made goods and discouraged the purchase of imports from the United States. In 2008, the United States, Mexico and Guatemala challenged as illegal a Chinese government industrial policy that generated a vast number of subsidy programs that promoted worldwide sales of famous Chinese brands. Dar es Salaam, Tanzania – Today, United States Trade Representative Ron Kirk met with business and international trade students from the University of Dar es Salaam and the University of Mzumbe in Dar es Salaam, Tanzania. During the session, he discussed the importance of trade in promoting economic growth in Africa and the United States. He highlighted the importance of the U.S.-African trade relationship. He also discussed the urgent need to prepare the next generation of government and business leaders for the demands of an increasingly competitive global economy. Ambassador Kirk’s two-day trip highlighted the strong partnership between the U.S. and Tanzania. Prior to meeting with students, Ambassador Kirk spoke at a reception in Dar es Salaam as part of the 2nd Annual African AmCham (American Chamber of Commerce) Summit, which was attended by representatives from more than a dozen African AmChams, local Tanzanian business leaders and Tanzanian government officials. In his remarks, Ambassador Kirk focused the progress made under AGOA, but also discussed the need to do more to increase U.S. exports to Africa in order to support America’s economic recovery at home. “Tanzania and the United States have a true partnership that is helping local workers, farmers and businesses flourish. The Obama Administration has invested considerable energy and resources in efforts to ramp up two-way trade between the United States and African countries. The Unites States is betting on Tanzania,” said Ambassador Kirk. While in Dar es Salaam, Ambassador Kirk met with President Jakaya Mrisho Kikwete of Tanzania to discuss the bilateral trade and investment relationships between the two countries. Ambassador Kirk commended Tanzania for being one of only four countries worldwide to be selected for President Obama’s new Partnership for Growth (PFG) initiative, which seeks to promote broad-based economic growth in developing countries that show a demonstrated commitment to development and democratic governance. Ambassador Kirk also met with Tanzania’s Minister of Trade, Industry and Marketing, Cyril Chami to encourage continued cooperation and progress under the United States-East African Community (EAC) Trade and Investment Framework Agreement (TIFA). On June 6, prior to his visit to Dar es Salaam, Ambassador Kirk traveled to Arusha, Tanzania. There he met with U.S. tourism companies and visited several small farms that have benefited from exporting products to the U.S. Ambassador Kirk toured a flower seed farm that contracts with MultiFlower to export to American and European farms. He also visited Pendo Farm, that exports most of its coffee beans to U.S. companies, including Starbucks. Arusha is one of the country’s primary centers for agriculture business and is benefitting from U.S. trade capacity building assistance. Tanzania was the United States’ 126th largest export market in 2010. Total two-way trade between Tanzania and the U.S. was valued at $207 million in 2010. U.S. exports to Tanzania grew by 3.6 percent between 2009 and 2010, rising to $164 million. 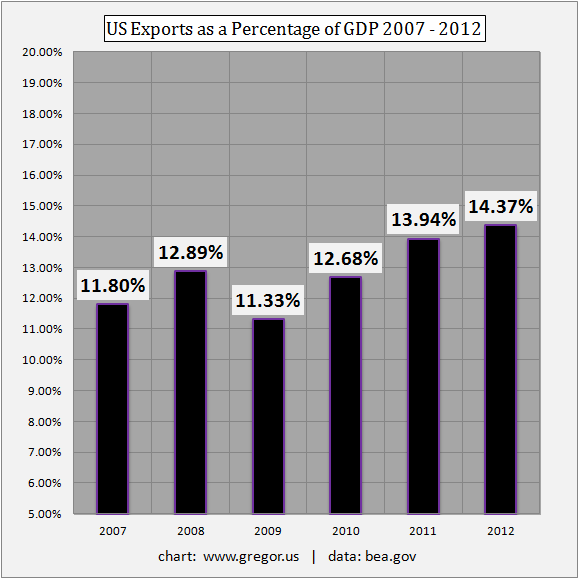 U.S. imports from Tanzania were valued at $43 million in 2010. Coffee accounts for 36 percent of all U.S. imports from Tanzania. Of total U.S. imports from Tanzania during 2010, $2.1 million entered duty-free under the African Growth and Opportunity Act (AGOA) and including the General System of Preferences (GSP), up from $1.8 million in 2009. After arriving in Zambia on Wednesday, Ambassador Marantis today completed his second day of meetings and discussions at the annual African Growth and Opportunity Act (AGOA) Forum in Lusaka. The AGOA Forum brings together hundreds of U.S. and sub-Saharan government representatives, as well as civil society and business stakeholders. U.S. Trade Representative Ambassador Ron Kirk is leading the U.S. government delegation of the Forum. The United States is highlighting our bilateral trade and investment partnership with Tanzania with a visit from United States Trade Representative Ron Kirk this week. Ambassador Kirk’s visit to Tanzania specifically focused on how various U.S. initiatives like the Millennium Challenge Account, the Partnership for Growth, Feed the Future, and the African Growth and Opportunity Act (AGOA) are strengthening Tanzania’s growing economy. Continuing his trip in Dar es Salaam, Tanzania today, Ambassador Kirk met with Tanzanian President Jakaya Kikwete. He commended the President on his leadership, noting that Tanzania is a major partner of the United States in sub-Saharan Africa. The U.S. is betting on Africa through investments in initiatives such as the Millennium Challenge Account, Feed the Future and the Partnership for Growth (PFG). PFG, a new Obama Administration initiative, is designed to promote economic growth in a small number of developing countries that show a demonstrated commitment to development and democratic governance. Tanzania is one of only four countries worldwide to be selected. Ambassador Kirk shared with the President his vision for Tanzania’s economic development, including his hope that Tanzania can take greater advantage of the African Growth and Opportunity Act (AGOA). This morning, Deputy U.S. Trade Representative Demetrios Marantis continued his official visit to Johannesburg, South Africa, speaking to a group of students, faculty, journalists, and other academics at the University of the Witwatersrand. The South African Institute for International Affairs, based at the historic university, hosted the event. Today Deputy United States Trade Representative Demetrios Marantis co-chaired a meeting with South African Trade and Industry Minister Rob Davies of the U.S.-South Africa Trade and Investment Council (TIFA Council). U.S. Ambassador to South Africa Donald Gips also participated. This morning, Ambassador Kirk met with leaders of several U.S. tourism companies, which are critical to Tanzania’s foreign exchange generation, job creation and infrastructure development in Tanzania. Travel and tourism services earned nearly $1.2 billion in 2009 for Tanzania, and these U.S. companies are some of the largest contributors to building Tanzania’s economy. The U.S. is committed to working closely with Tanzania to ensure the continued growth and sustainability of this vital sector.